Old Spitalfields Market has gone through somewhat of a revival in recent years with many trendy food stalls opening having been curated by the great Nuno Mendes. One of my favourites is from the team at Sood Kitchen who make their own pasta daily and are genuinely all round next guys to chat with. 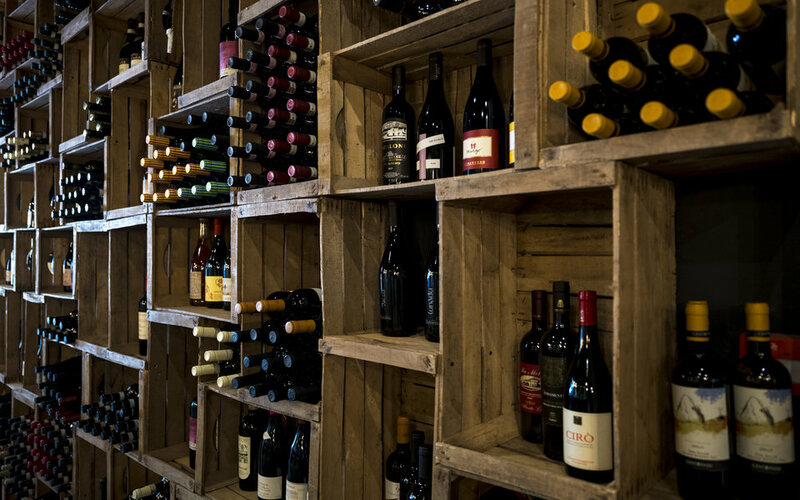 Hence it was a certainty I would check out their new joint venture at Bottles, which matches great wines with their fantastic home-cooked food. 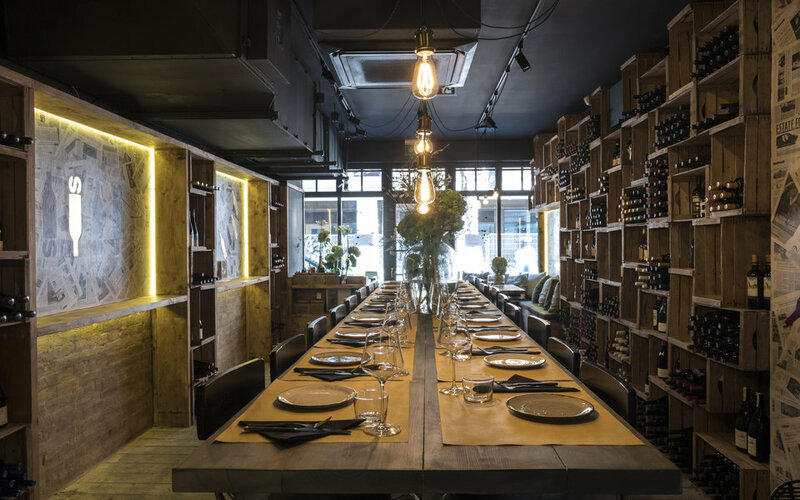 The first surprise I got was how beautifully decorated the restaurant was; I was expecting to be queuing outside a small food stall using plastic cups but this was thoughtfully decorated and naturally, the emphasis is on the plethora of wines they supply which are proudly displayed on their wall. Whilst most of the wines are old world classics; we went for a rose from Provence in France; there are the intriguing options that pop out like their most expensive rose being from Bethnal Green: Renegade GTS at £60 a bottle. The food is a slightly expanded menu from what they had offered as a food stall nearby, so we enjoyed some very fresh market produce such as asparagus flavoured with broad beans cream along with lemon and mint and also burratina with a tomato elixir. The quality of the ingredients was on a par with the best Italian restaurant I’ve tried in London. Although, this is a rather more informal setting and all about catching up with close friends and family over fine wine and food. 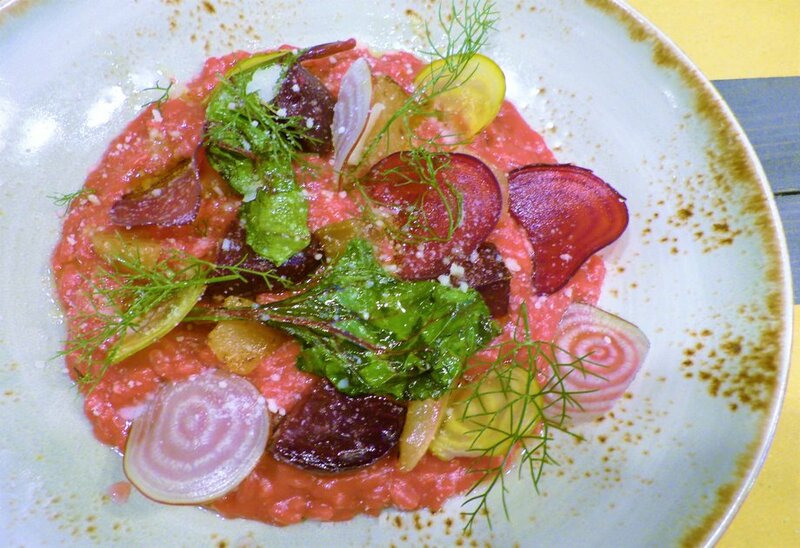 At bottles, they can offer slightly more than at the food stall, so my vegetarian guest got a very filling beetroot risotto which was plated like someone’s back garden. However, I would suggest putting that on their actual menu rather than as a “daily special” since they don’t officially have a vegetarian main course on their menu. 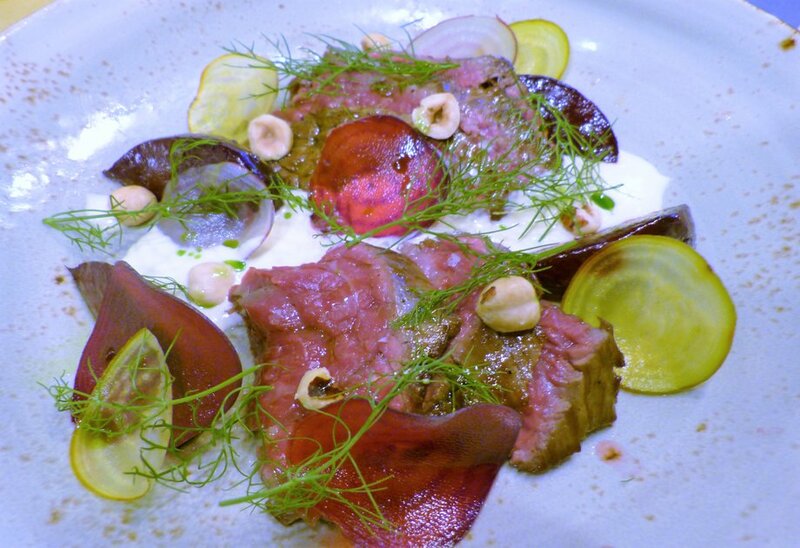 Wagyu beef was well-matched with horseradish cream, beetroot, and hazelnut. The beef came relatively raw which was absolutely fine with our group although maybe they could ask diners what their preference was? All in all, it was a thoroughly enjoyable experience and I would particularly recommend this to couples and smaller groups who are looking for a more intimate and cosy venue.